Co-Mingle Recycling, sounds delightful doesn’t? All the plastic takeaway containers and chickpea tins enjoying each other’s discarded company before they’re taken for initial processing. That’s how we like to imagine them in our Mixed Recycling bin anyway – living their best single-use life, waiting to be transformed into something EXCITING and COOL! 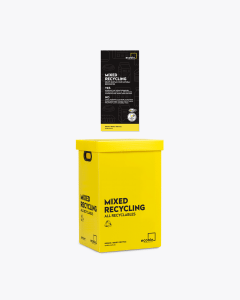 What can you put into your mixed recycling bin? What is not suitable for the mixed recycling bin? What is made from plastic recycling? These are some amazing things that are able to now be produced from recycled plastic. Items such as backpacks, outdoor settings, roads, clothes, playground equipment, fences, traffic cones and of course plastic items such as bottles, containers and packing materials. 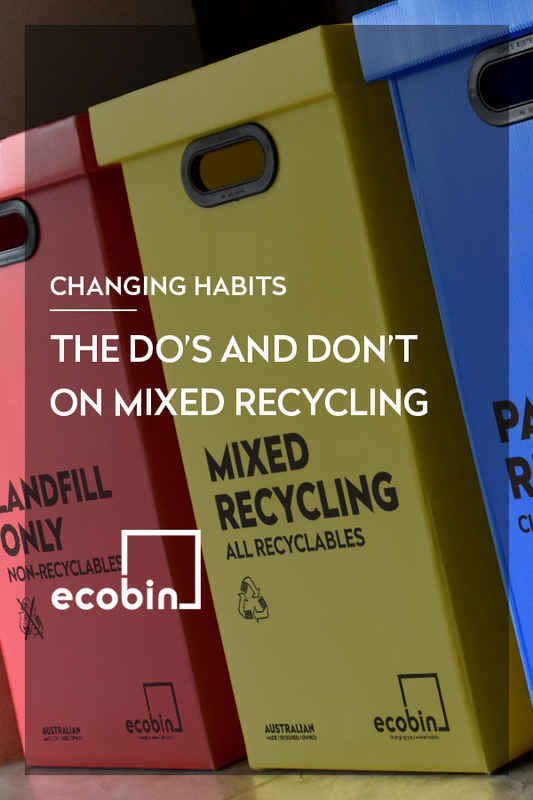 Ecobins range of Mixed Recycling bins and educational posters were created to help make your life easier, and take the stress out of recycling. Click below to view our range of products.